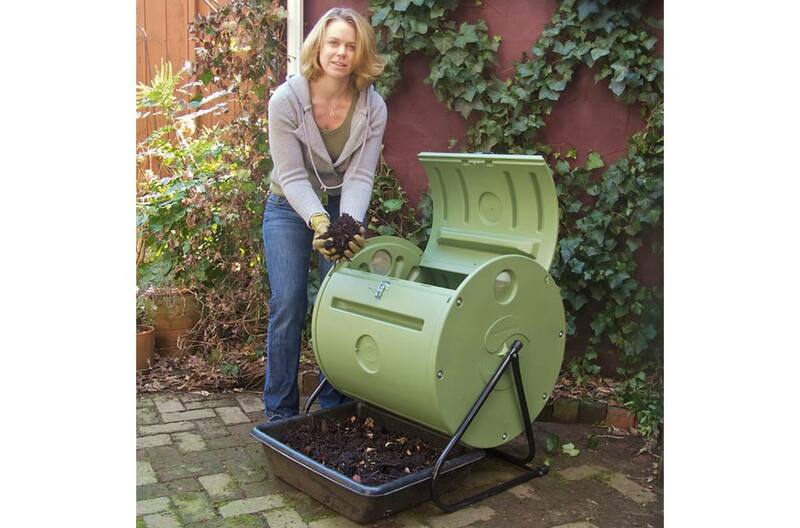 The Easy Spin ComposTumbler is the perfect back yard and urban composter, making compost in as little as 4-6 weeks* from everyday kitchen refuse. 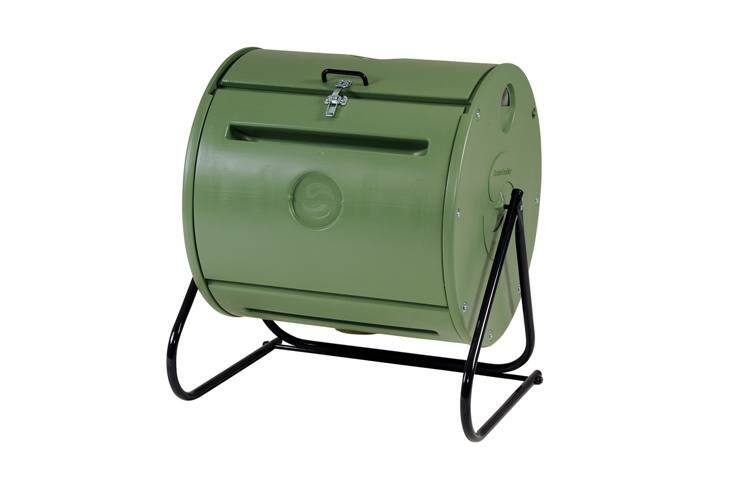 This economical, small composter fits comfortably on the patio, deck, porch, outside the kitchen door or alongside the recycling bin. Holds up to 4 bushels. 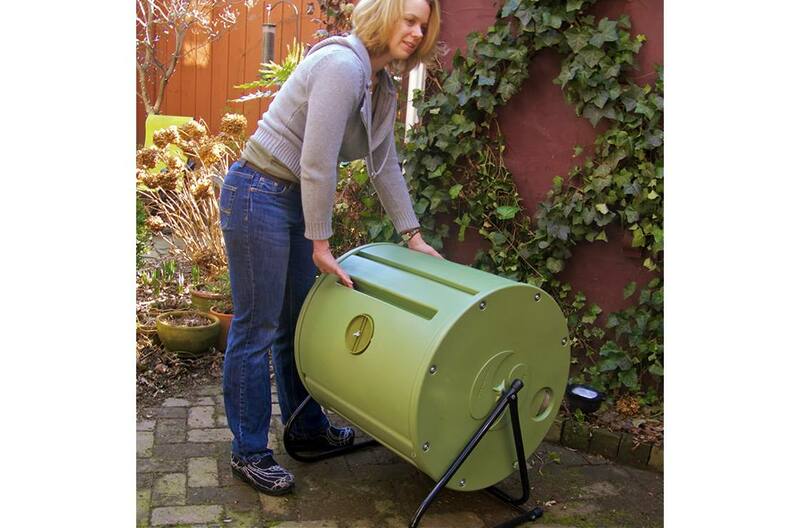 • Compost bin contents are completely enclosed. • Vented end caps allow proper air flow and drainage. • Door latches securely to contain odors and keep animals out. • Easy-grip grooves make rotating the drum simple. 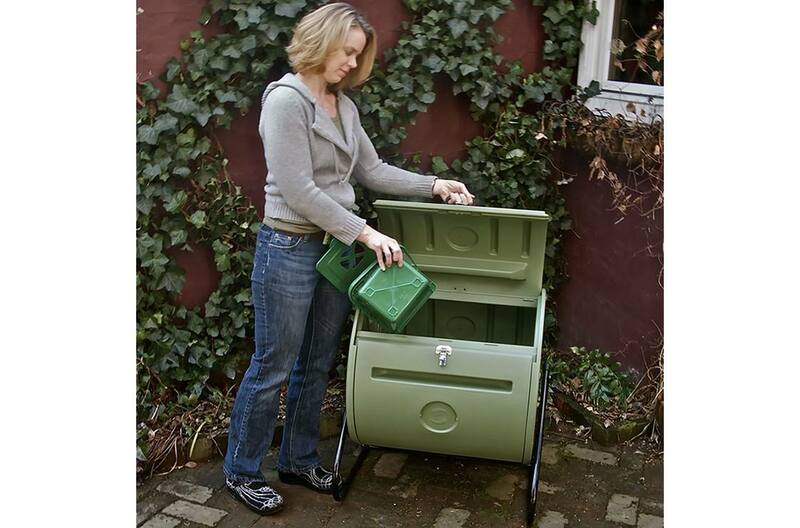 Contains up to 4 bushels of composting materials: As much compost as you need for smaller gardens and flower boxes. Turning Grooves: Allows for easy gripping and rotating the compost bin. 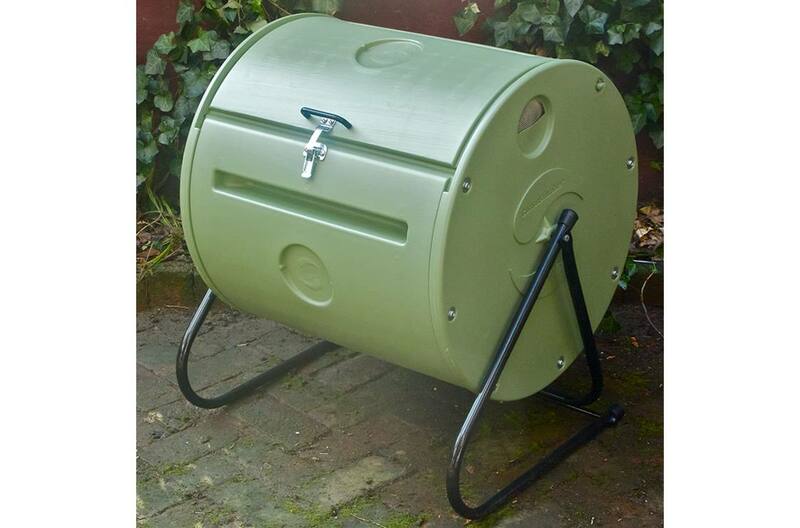 Aerator/drainage unit on the bottom – Combined with screened side vents: Aeration allows for necessary air-intake, and release of excessive moisture,known as ‘compost tea’, with no compost spillage. Insulated high-density polyethylene drum: Fluctuations in temperature are no problem with the Easy Spin ComposTumbler – make compost in cooler weather.